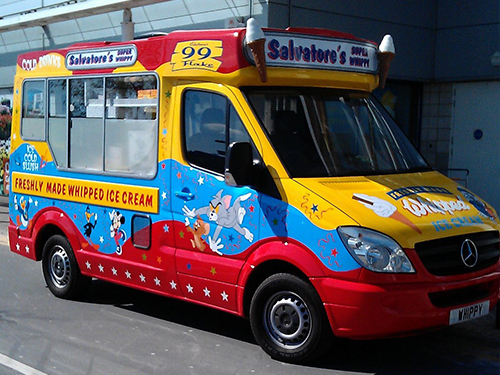 Mr Whippy Ice Cream, Scoop Ice Cream and Ice Cream Trailers for hire. 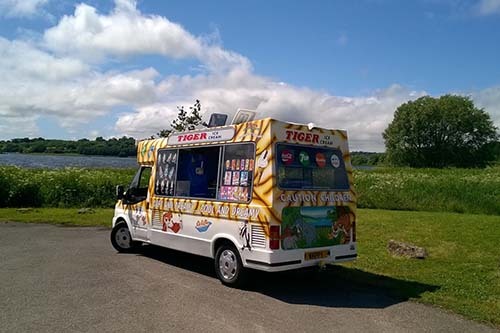 We specialist in promotional work and events, from a simple name change to the whole ice cream van being branded for childrens fun days, television work, photo shoots, company fun days and sampling events. It's a great way to promote your event! Costs are dependant on location, date, time and generous discounts will apply when hiring for consecutive days or more than one event. We work closely with Race for Life Cancer UK, Horse World, Bristol Rescue Centre for Horses, Children in Need and many other organised events throughout the South West of the UK. We believe we supply the best ice cream throughout the area. 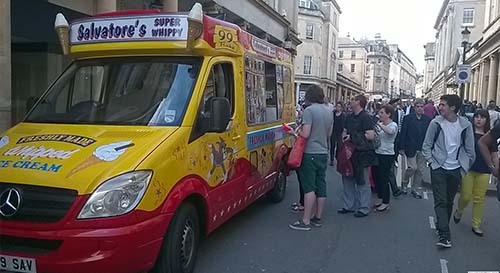 Corporate or wedding is one of our growing sectors and can be pre-arranged for a choice of Mr Whippys, 99 Flake, ice lollies, Marshfield organic scoop ice cream or slush to be distributed on a give away bassis, tokens or just count for your guests or clients to tailer for your event and requirements.